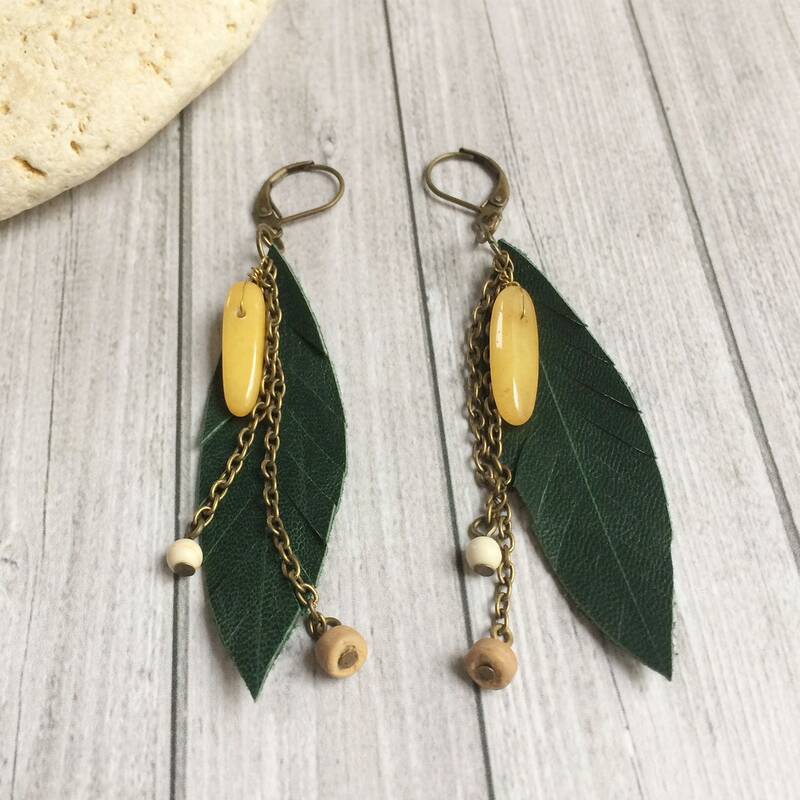 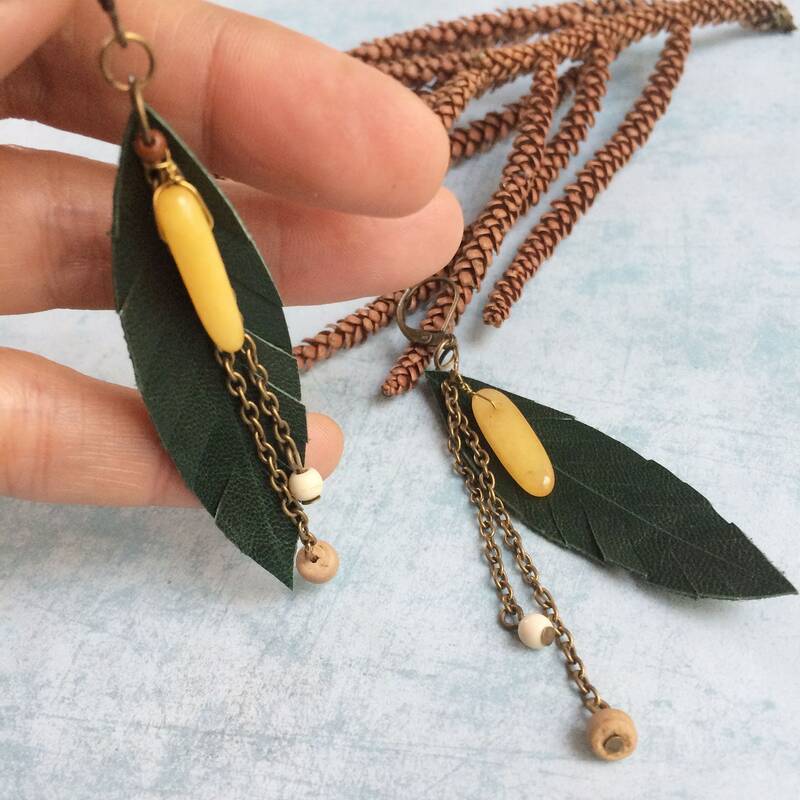 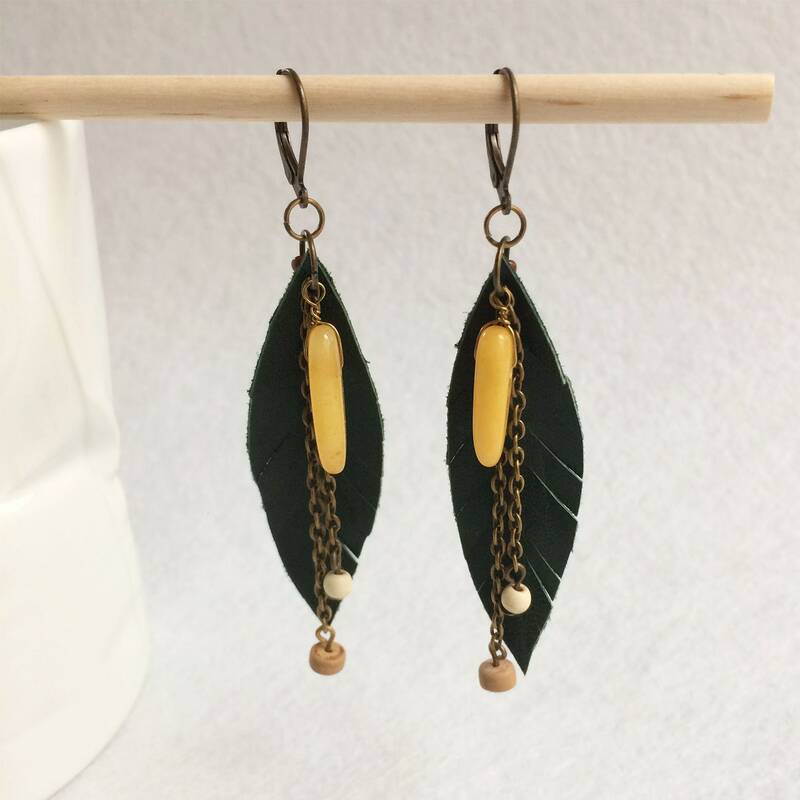 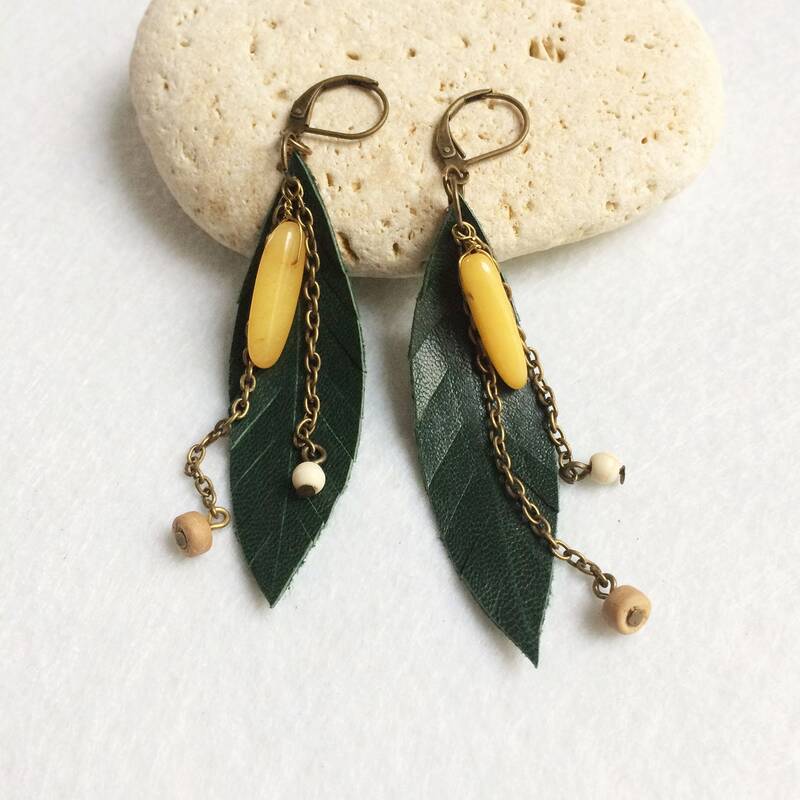 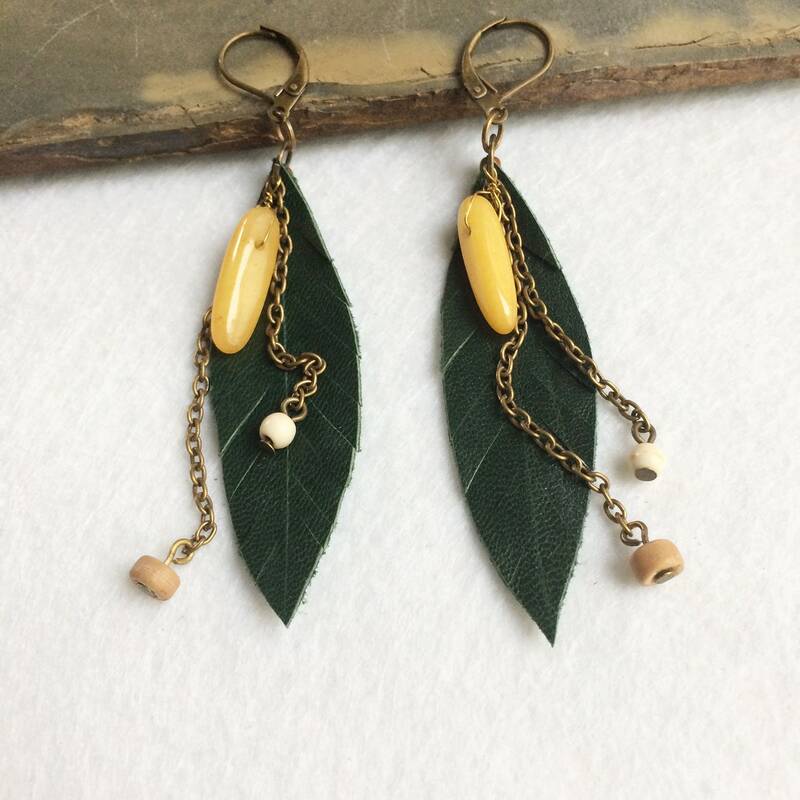 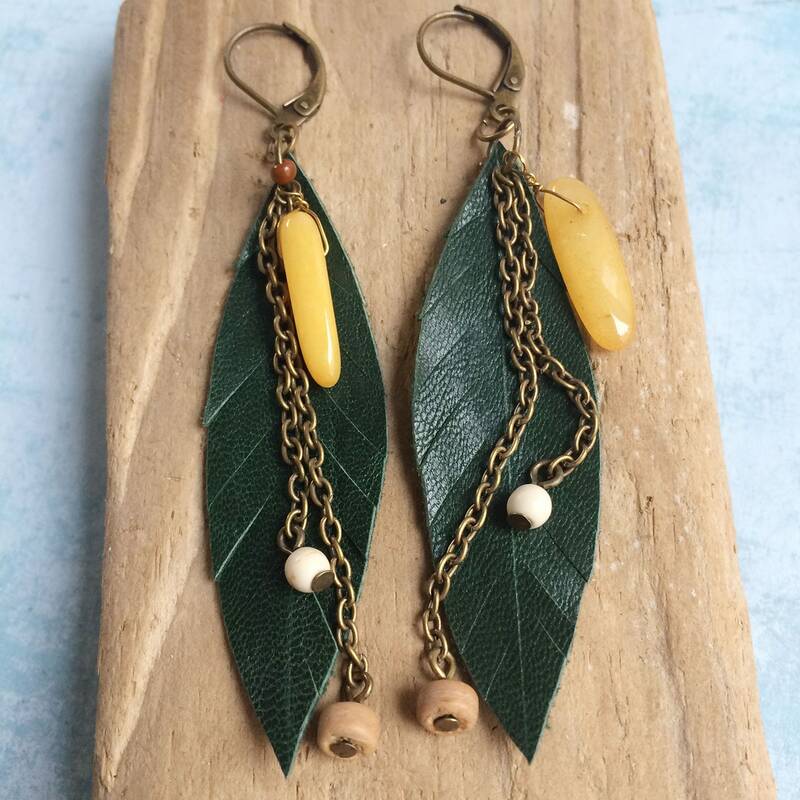 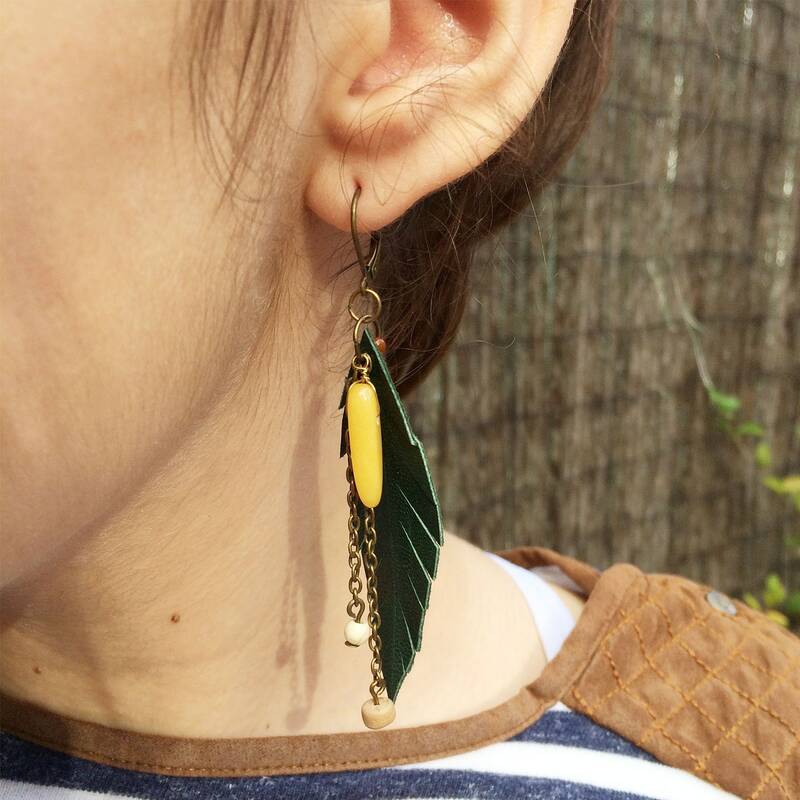 Long earrings shaped like a feather in leather. 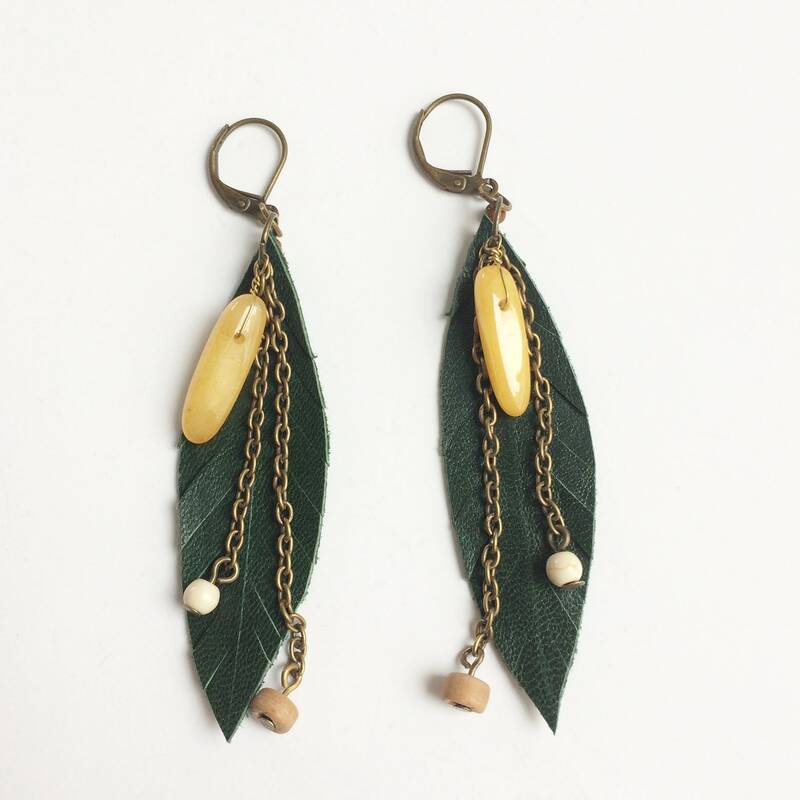 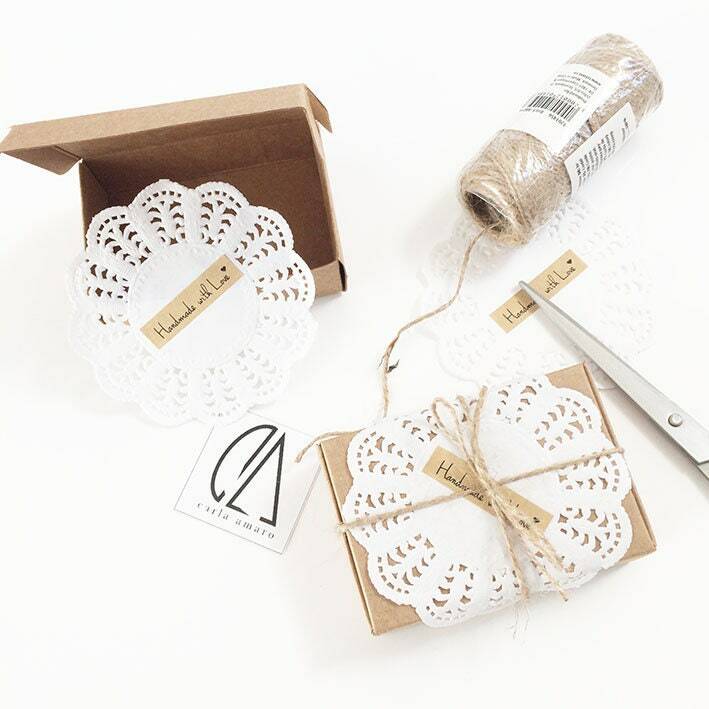 Rectangular yellowstone with brass chain and little wood beads. 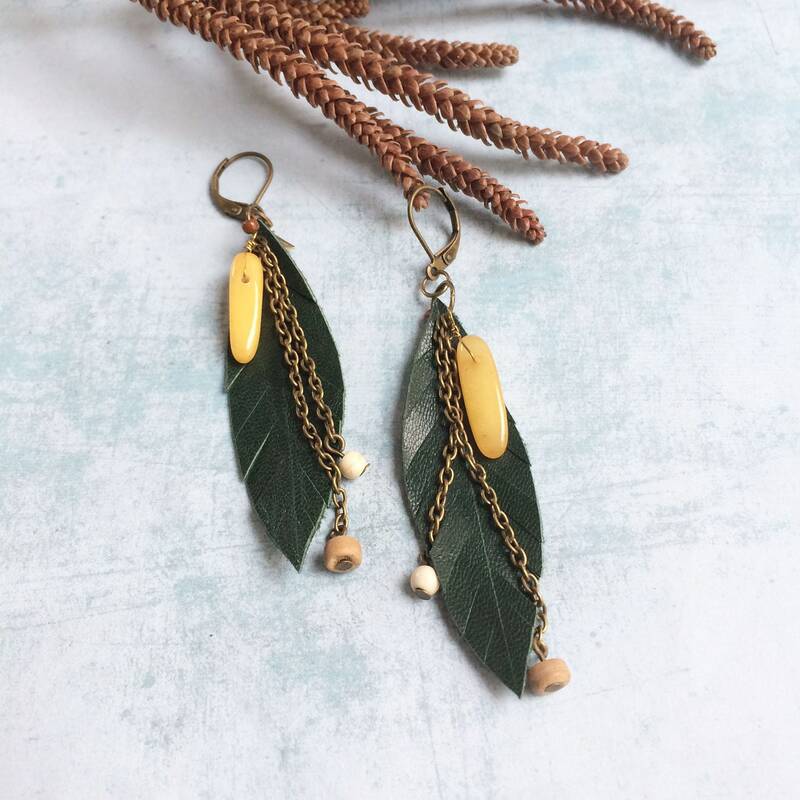 Brass, leather, natural stone and wood.